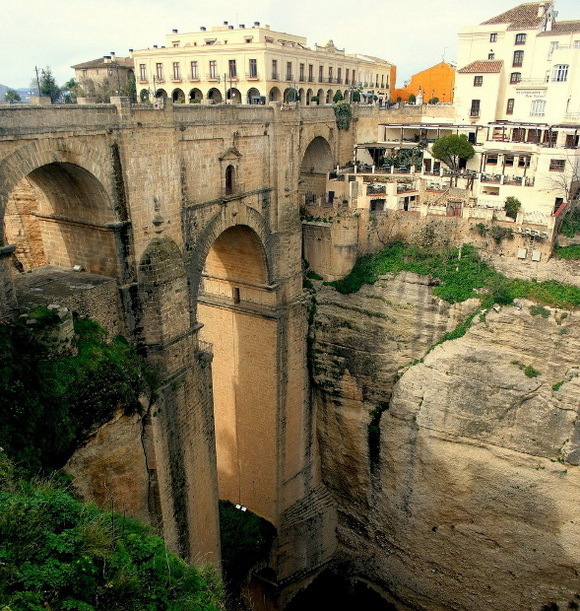 Ronda is one of the few cities in the world to have a deep gorge running through the heart of the city, and is luckier still to have the Puente Nuevo (new bridge in Spanish) spanning it. 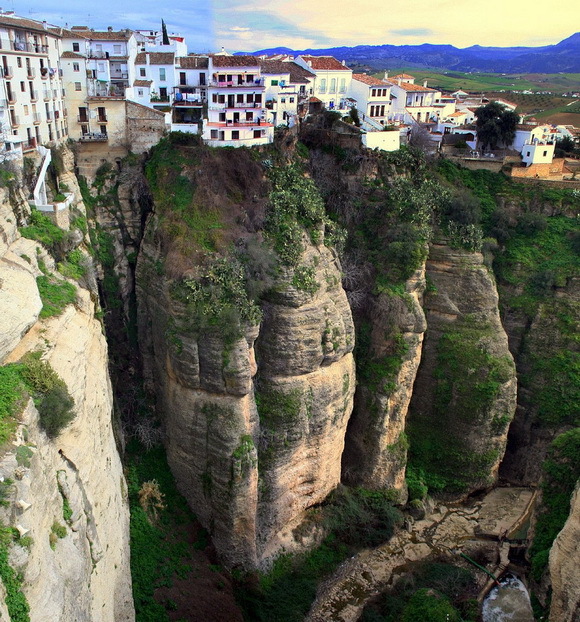 The gorge also served as the most formidable defence Ronda’s enemies have ever tried to attack. 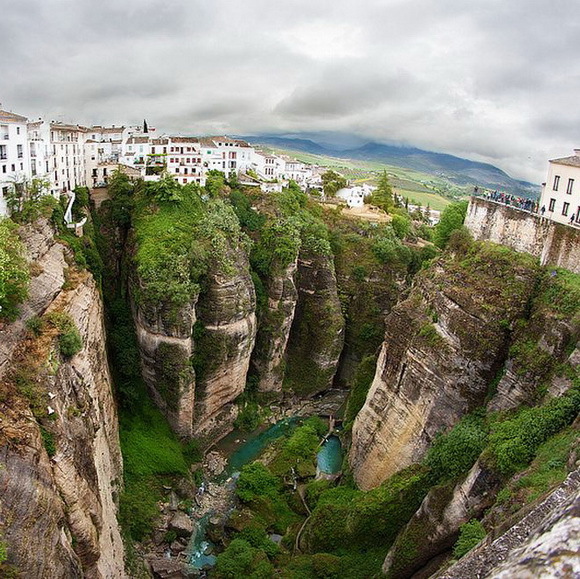 Known as El Tajo, the gorge was created by constant erosion of the Rio Guadalevín which is fed by mountain streams and melting snow high in the mountains of the Sierra de las Nieves. The gorge is quite narrow only 68m (225ft) at it’s widest, but in places very deep, up to 120 m (395ft), adding to the wonder that makes the gorge and it’s tallest bridge, the Puente Nuevo, one of Spain’s most photographed locations.